The St. James Club is a large resort with a vibrant, colorful and refreshingly casual atmosphere. With its romantic beachfront setting and being minutes away from the amazing Rodney Bay Marina, Cap Estate Golf Course and the capital of Castries, this resort is perfect for families and couples alike with the perfect mix of relaxation, romance, and adventure. On arriving at the St. James Club you will be greeted by a member of the excellent staff who will show you where your room is, you will be told where you can find all the amenities you may require on your vacation and a bit about the amazing entertainment offered at the resort. You will feel like you have just been welcomed into your new home by some of the friendliest people on the island. The resort boasts 335 rooms all spread out across 25 acres of tropical gardens and bordering the pirate cove, Morgan Bay. You can choose between an Ocean view room, where you can take in the most magnificent sunsets over the Caribbean Sea or a garden room view, where you can see the exquisite tropical gardens maintained by the resort. Both are breathtaking views in their own unique way. You can also choose whether you want to be close to the beach or higher in the hilltops to take in the best of the view making it easy to create the vacation of your dreams. The rooms come with either an extremely comfortable King size bed or two equally comfy double beds with the capacity to accommodate extra guests with a twin rollaway bed or pull out queen sofa bed within the suites. Many of the rooms come with their own terrace or balcony also so you can relax and enjoy the scenery around you. Every room comes equipped with air conditioning, private bathroom, satellite TV and beach towels with complimentary Wi-Fi access available in the Lobby and Sunset Lounge. The St. James Club has a wide variety of all-inclusive onsite amenities including six distinct restaurants, six bars and cafes and four pools. You can listen to the birds sing whilst you take in the Ocean view from the Palms. Step out over the water and enjoy the local cuisine from the Morgan’s pier restaurant, as well as dine in each restaurant. This will give you a unique culinary experience with choices of international and local dishes available. There is a full bar service both within the restaurants and dedicated lounges & bars. This provides a wide range of beers, wines and cocktails available, including local St. Lucia and Caribbean based rums, beers and liquors. The lounges and bars also have brilliant settings depending on what kind of atmosphere you want to enjoy. The swimming pools were created with everyone’s experience in mind with two beachfront pools. One has a swim-up bar and the other is a family-friendly, children’s pool complete with slides and shallow wading areas. There is also an adults-only pool for those looking to escape to the Hillside and experience the views of an alcoholic beverage. You can also enjoy the amazing nightly entertainment in the Sunset bar & lounge. The Tranquility Body & Soul Spa, located on the hillside to take advantage of the outstanding views across the Caribbean Sea. The spa has a range of treatments available to help you relax and unwind. These treatments including aromatherapy massage, deep-cleansing facials, and detox seaweed wraps. Along with the onsite spa, there is a fully remodeled fitness center where you can keep to your workout routine even whilst on vacation and maybe take on a few of the daily classes available in tennis, beach volleyball and many more. Parents can visit the adult-only pool knowing that their children are having the time of their lives in the kids club. Open for children aged 2-11. Some of the activities included are volleyball, crab hunting, cooking classes, parties with much more to keep them entertained throughout the day. After the Kids Club has closed for the day you can take advantage of the childcare services available between 7:30pm and 10:30pm where fully trained staff look after the little ones so you can go and have a romantic dinner for two or walk along the beach hand in hand, knowing that they are having fun with the in-house mini disco, karaoke, and Wii games. If the Caribbean Sea is calling to you then you can head on out and try your hand at water skiing, wake-boarding, kayaking, and snorkeling to name a few of the water sports activities available. Just head on up to the beach-side hut to request equipment or book lessons for motorized options and with life jackets available for all ages, the whole family can really take advantage of the Sea and all it has to offer. The St. James Club resort is perfect for both families looking to have an adventurous vacation as well as couples having a romantic break where relaxation is the main goal. 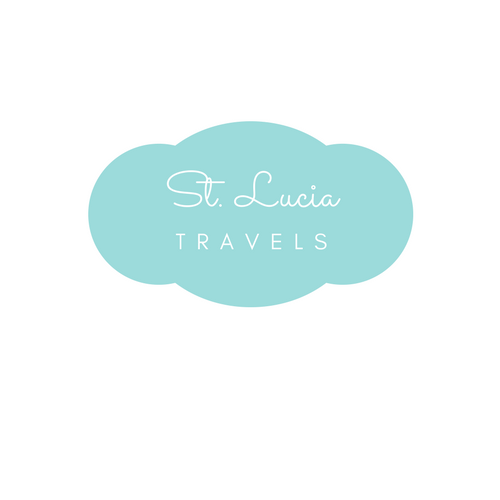 The range of activities and dining experiences means that you would never have to leave the resort to enjoy all that St. Lucia has to offer but if you did want to explore further afield, the location is perfect with Rodney Bay only being minutes away and the main hub for St. Lucia culture and experiences.